Here at Fabulous Together Weddings we pride ourselves on creating the wedding of your dreams. Often couples will say they want the fairytale wedding with plenty of lights and glamour. We love creating these spellbinding weddings so here is a little guide to the perfect fairytale wedding. The venue is key to your fairytale story. Whether it is a country home, a cosy barn or a castle in the clouds, your perfect wedding should be set wherever bears the most resonance with you. There are a plethora of articles that will help you find the right place. Roses roses and more roses are the traditional choice for this kind of dreamy wedding. Add a little bit of glamour with some pearls in the bouquet or lace on the stems. Be careful when asking for a smaller size of a rose-ball bouquet for your bridesmaids as in photos they tend to look the same. We suggest perhaps having a different mix of flowers for your ladies to distinguish your special bouquet from theirs. Your perfect dress is completely personal. Though an A-line poofy dress is the Princess archetype, a full skirt isn’t necessary for you to feel like a princess. If a bohemian Temperley dress makes you feel ethereal or structured Sassi Holford dress gives you a cool girl look then be in whatever fairytale dress you want to be in. One thing we’ve noticed with our brides is no matter the style of the wedding, the cinderella shoes always make an appearance. 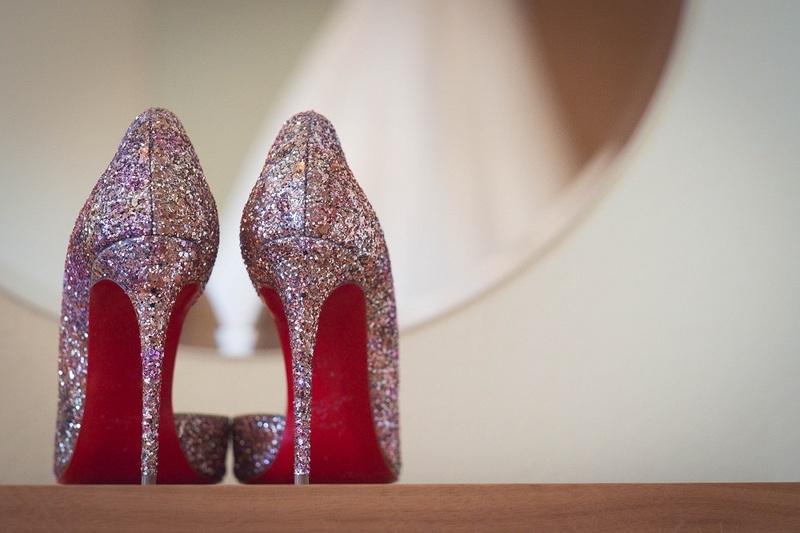 These glittering heels will bring your fairytale to life as you walk down the aisle. Your dress may hide them but as long as you feel amazing in them, that’s all that matters. The fairytale wedding is dripping with glamour, lights and elegance. From the ceremony to the first dance, everything has a special impact to wow your guests. We suggest an aisle lined with candles to create that magical walkway and a floral arch for maximum awe. That’s it! Your fairytale wedding is what you make of it but we hope this little blog helps steer you in the right direction.